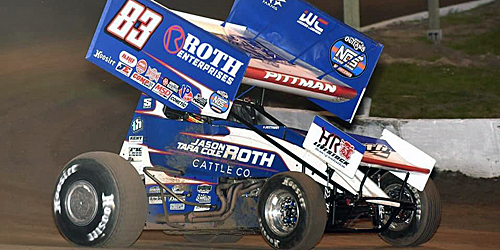 Lonnie Wheatley, TULSA, Okla. (March 21, 2019) – With the World of Outlaws west coast swing winding down in a soggy California, Daryn Pittman continues to hold the top spot in the STIDA Winged 410 Sprint Car Power Rankings. After picking off a pair of Florida wins to open the season on the right foot in his new Roth No. 83 mount, Pittman has added another pair of California top-tens including a Thunderbowl runner-up showing to hold the STIDA 410 Power Rankings lead by 30 markers over Brad Sweet. Sweet made the jump from sixth to second after back-to-back runner-up finishes at Chico and Stockton last weekend while reigning WoO champ Donny Schatz fills out the current top three. Tim Shaffer has slipped back to fourth with Logan Schuchart rounding out the current top five after picking off his first win of the season at Stockton last Saturday. Shane Stewart is currently sixth with Carson Macedo, Aaron Reutzel and two-time Posse winner Lucas Wolfe each cracking the top ten in seventh through ninth, respectively. David Gravel rounds out the current top ten. 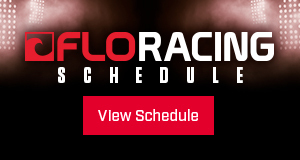 With the World of Outlaws weekend and Attica’s season opener already finished off by inclement weather, the only remaining 410-ci Sprint Car cards remaining on the weekend docket are in central Pennsylvania with action at Williams Grove Speedway on Friday and then both Lincoln and Port Royal on Saturday. 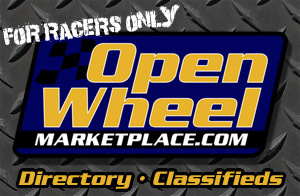 The STIDA Winged 410 Sprint Car Power Rankings are a part of the Open Wheel Power Rankings that also includes Non-Wing, Rod End Supply Winged 360s and www.midgetmadness.com Midgets. 2018 – 1. Donny Schatz (24) 1,398, 2. Brad Sweet (11) 1,192, 3. David Gravel (5) 883, 4. Tim Shaffer (9) 804, 5. Daryn Pittman (9) 772, 6. Danny Dietrich (10) 753, 7. Aaron Reutzel (11) 707, 8. Greg Hodnett (5) 685, 9. Shane Stewart (1) 682, 10. Carson Macedo (6) 665.